Three Cheers for Artists - Family Times is an award-winning magazine with staff-written news, feature stories and artwork that inform and inspire Central New York parents and their children. Whenever Carrie Lazarus heard reports about yet another local ballplayer accepting a college scholarship, she couldn’t help but think of the young singers, dancers or musicians who would not be trumpeted by the newspapers, interviewed by reporters or raved about at office water coolers on Monday mornings. 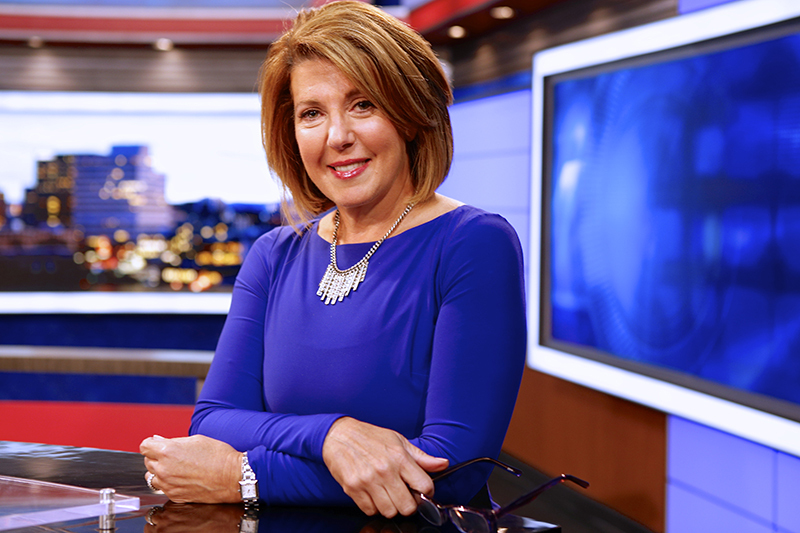 Instead of getting angry and criticizing the local media for lacking arts coverage, the WSYR-Channel 9 news anchor created a spotlight for young performers and developed a program to give some of them the chance to learn from the best in their fields. Lazarus created a television segment called “Extraordinary People and Places of Central New York,” which sometimes featured local students who were involved in the performing arts. A year later, in 2013, she established the Extraordinary Talent Fund. So far, the program has awarded $23,820 to 11 local students, according to the Central New York Community Foundation, which helps administer the program. The grants were used to partially or fully cover tuition costs of training programs, seminars or instructional camps in the recipient’s respective art. Lazarus, who is also involved in reviewing the grant applications, will continue to lead fundraising efforts to help the program grow. Manlius-Pebble Hill graduate Tevin Johnson, the program’s first recipient, was awarded a grant last year to attend a competitive summer intensive program at the Alvin Ailey American Dance Theater in New York City. He successfully auditioned for the program the previous summer but didn’t have the $5,000 for tuition, room and board. “I felt that wasn’t right,” says Lazarus, who featured Johnson on her television segment. His situation inspired her to create the fund. In December, Johnson performed at the “Extraordinary Live” event at the Landmark Theatre to help raise money for the fund. He attended Alvin Ailey’s summer program again this year and is currently enrolled as a dance major at Montclair State University in New Jersey, which awarded him a scholarship. Not bad for a kid who didn’t start formal training until he was a teenager and learned how to dance by watching So You Think You Can Dance. Lucas Button, 20, of Syracuse, a cellist, was awarded a $9,000 grant to attend an eight-week training program this past summer at the Aspen Music Festival and School in Colorado. Some of the other participants were already professional musicians. Button was coached by some of the top conductors and music professors in the nation and enjoyed performing for a group of Rhodes scholars. Button completed high school at Interlochen Arts Academy, a boarding school in Michigan, before continuing his education at Rice University in Houston, where he recently began his junior year as a music major. He called the Aspen program “unbelievable and inspiring” and says it was also a great networking experience for graduate school. His career dream is to become a member of a touring and recording string quartet. “There’s just something about the say that you have in a group of only four people,” he says. 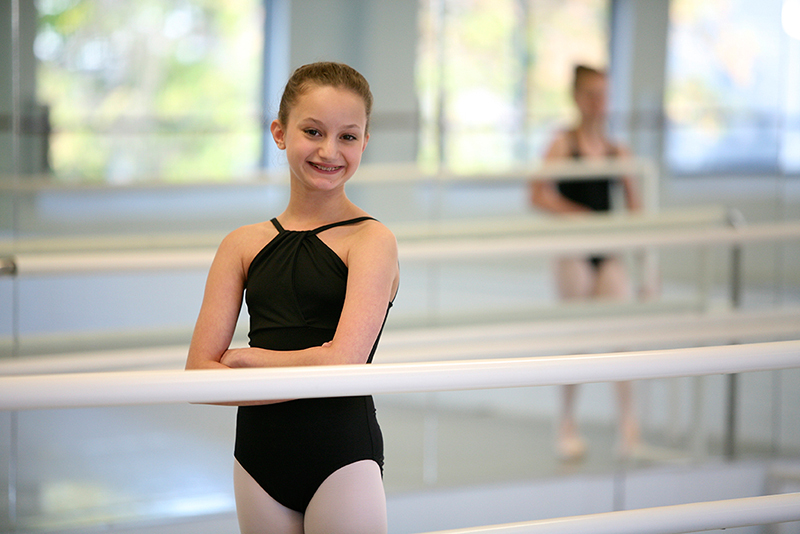 Dixie Szafranski says her 12-year-old daughter, Theresa Szafranski, was awarded about $1,200 to attend a two-week program at the American Ballet Theatre in New York City. The faculty there included professional dancers from France, Russia and New Zealand. It has been the highlight of a dance career so far that started at age 2 in Baton Rouge, La., and continued in rural Wisconsin and then on Wellesley Island, near Watertown. For an entire year, her parents made the three-plus-hour round trip to Dance Centre North in Mattydale four times a week before they moved to DeWitt in 2013. Szafranski says her daughter was very focused on dance at a young age, but it also helped that she had a dancer’s body: three toes that are the same size (peasant’s feet), a long neck and a small head. Theresa previously performed for the New York City Ballet during a summer program last year at the Saratoga Performing Arts Center. Szafranski was already searching for grants to send Theresa to the American Ballet Theatre when she heard about Lazarus’ fund. Szafranski insisted on paying half because her oldest daughter, Abigail, lives in Queens and could provide her little sister lodging and transportation to the program. Theresa said she especially enjoyed how the professional dancers’ techniques varied by the nations they represented. She was most inspired by the Russians. “They are very strict and very dedicated,” Theresa says. A few weeks after returning from the American Ballet Theatre, Theresa successfully auditioned for the role of Clara in the Albany Berkshire Ballet Company’s production of The Nutcracker. “It has been a dream of hers to be Clara since she was young,” Szafranski says. Rebecca Flanagan, 16, a student at Cicero-North Syracuse High School, won a grant for about $2,000 to attend the nine-day Studio2Stage intensive Irish dance workshop in August at New Jersey’s Kean University. She began as a tap and ballet dancer at 3 years old and moved on to Irish dancing at age 7. She currently attends classes at the Johnston School of Irish Dance in Syracuse five days a week, with each one lasting up to three hours. “I liked it right away because it was something I really had to work hard at,” she says. 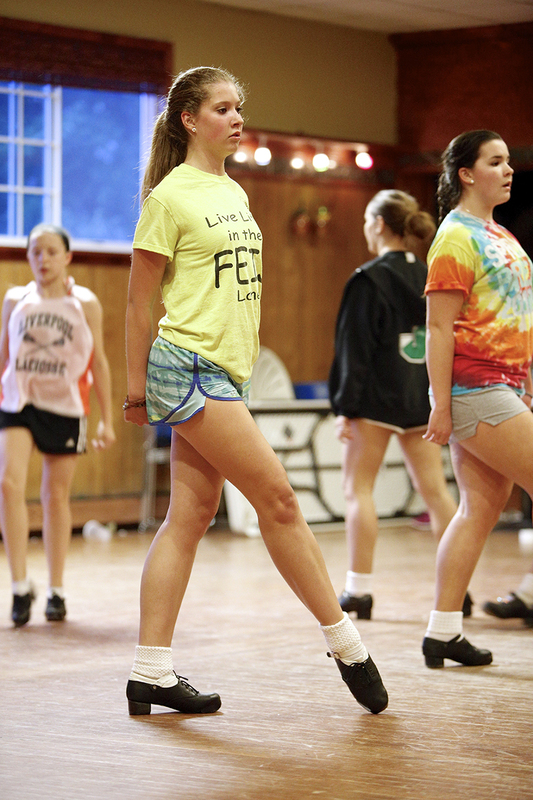 Irish dance is typically centered on competitions—and Flanagan has a bedroom full of medals, including ones from previous world-level competitions in Belfast and Dublin. But the performance side of the art has become increasingly popular in the United States since the debut of Riverdance and other touring shows. At Studio2Stage, Rebecca got a taste of what it’s like to rehearse for a major production and then perform in a show where she wasn’t competing with other dancers. Some of Rebecca’s friends from the Johnston School traveled to New Jersey to watch the performance. One of the things she loves about Irish dance is the camaraderie she shares from her studio as well as with dancers she’s faced from other nations. They continue to stay in touch after the competitions. Her mother, Laurel Flanagan, was “blown away” at how professional the Studio2Stage production was, despite the relatively short time that the young dancers had to prepare for it. “The energy was even more than what I saw at Riverdance,” Flanagan says. Her mother believes that the popularity of Riverdance and similar productions will help the art continue to grow in the United States. 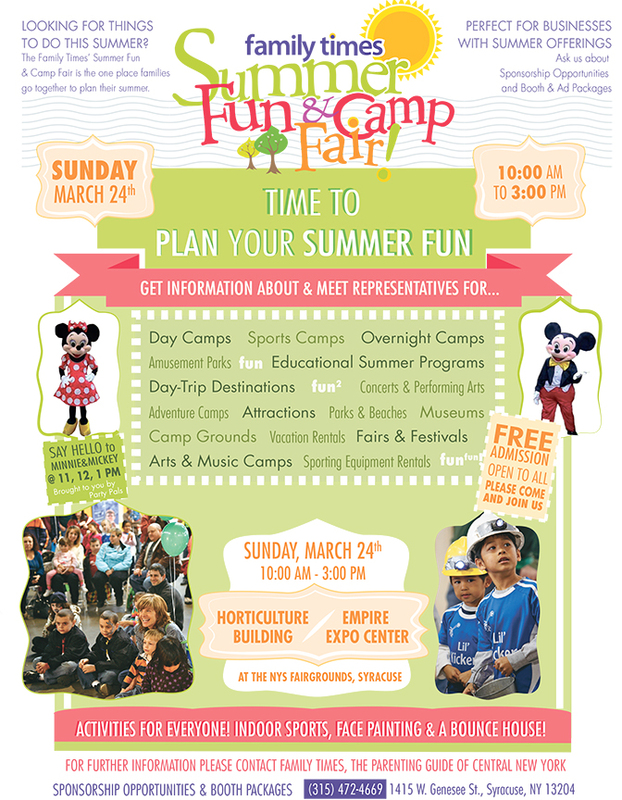 The Extraordinary Talent Fund is one of about 600 funds administered by the Central New York Community Fund. Last year, the organization provided about $200,000 to various arts organizations, not counting Lazarus’ program, which is specific to the performing arts. Organizations can apply for funds annually, says Olive Sephuma, director of community grant making. She added that grants have been awarded to cover start-up costs for new organizations, or to help organizations that have incurred unexpected emergencies. For example, the Community Fund helped to rebuild a ballet studio that was damaged by fire. Monica Merante, donor relations officer, said Lazarus’ program is unique in that it benefits individuals instead of organizations. “It’s a major helping hand to young people who have a passion for performing arts,” Merante says.